Of course, first we need to actually establish what pound surfing IS. Basically, it's the action of entering the pound and refreshing on a constant basis, looking out for painted, limited edition, well-named, or dream pets. This is (in itself) a seemingly easy task, right? Well, really, it's MUCH more complicated, and this article is here to help you overcome the upcoming roadblocks. Preparation for pound surfing? Yes, it’s true, pounding surfing can actually require a fair bit of prep. The first, and considerably most obvious, is a properly aged account. Yes, to adopt most of the pets considered ‘tradable’, an account must be at least three or four months of age. Another preparation is to make sure YOU HAVE ENOUGH SPACE FOR ANOTHER NEOPET. This cannot be stressed enough! In fact, you are permitted to have up to five accounts, which is a total of twenty pets! It’s actually a good idea to create all five at once and designate one as your main. That way, when all your accounts age, you can easily surf on all of them! The second preparation is to practice. Yes, practice. The more, the better! Start by searching for one certain pet, like a blue Gelert or a red Acara, or maybe keep a lookout for a general species. Refresh, and exercise your reflexes when you see the designated practice pet. Of course, usually when you're pound surfing, more people will go for the pet, too, and you won’t necessarily be looking for a specific pet, but this practice is an excellent way to hone your skills. Of course, the pound isn’t just about luck or timing; there’s a fair amount of strategy involved, too! For starters, get used to using the F5 key as a refresher. This, unlike the clickable refresher, leaves your dominant hand free. So, if you come across a pet you’d like to adopt, you have the advantage over someone who uses the clickable refresher. Secondly, try to best the enemy of IMPULSE. This is a pound surfer’s worst nightmare, but can easily become your best friend. If you plan on trading the pets you surfed, try to get rough estimates on how much each paint brush color ‘costs’. Yes, in trading, the ‘cost’ of each pet is (sadly in my opinion) seriously considered. Impulse can cause you to adopt a pet you didn’t want and miss a pet you did, so try to train yourself to go for the ‘goal pets’. Third, look over the Pound board topic. 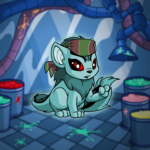 There are numerous people who pound pets on there, and staying to chat could get you the time and name of the pet, which gives you the upper edge because you can refresh solely for that one Neopet (Yes, it is important to take advantage of the fact that you can search for a single pet’s name!). And last of all, I highly suggest keeping a tab open with a chat, or a song, or whatever. Pound surfing can be long and painstaking, and quite bluntly needs sanity. Having this reality reminder will keep you alert and focused, ready to get the goal pet! A large part of surfers scan the pound for trading pets. This, if you want, can be your goal, too! Start with something like a Glowing Uni, then slowly increase your way to your dream pet! 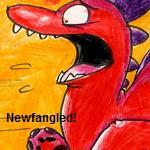 But trading isn’t all fun and games; it’s an ever-changing section of Neopets not for the faint-hearted. An important idea to keep in mind is to wait a few days after you adopt a pet to start trading it. If you interrupted a transfer and started trading right off the bat, former owners and flamers might attack you. Waiting a day or two is a simple way to ensure that you haven't 'stolen' anyone's pet, and trading it won't bring you into the onslaught of angered Neopians. Of course, after you adopt the pet, you have the right to do whatever you'd like; nowhere in the rules does it say you MUST return the pet to the transferee. The most ‘tradable’ are unconverted or expensively painted pets, Darigan, Royal, and Faerie are usually the most sought-out. Species-wise, Lupes, Hissi, Drakes, and Krawks are mainly coveted. Of course, a new paint brush color might increase the demand of a certain species/color combo dramatically, so that needs to be kept in mind as well. A pet’s name has an insane effect on a pet’s tradability. Any 3-letter named pet is an excellent start. If it’s a limited edition species or a rare color, the ‘value’ has skyrocketed. Pets’ names can also have negative effects, too. Lots of numbers and underscores can deflate the tradability of the pet. Of course, some people aren’t name picky at all, and each individual’s preferences are different. Creating a topic is important, and it is vital for it to be as informative as possible. A lot of caps and crying smiles is generally considered a bit 'obnoxious', and false titles can cause trouble! Try to be as straightforward as possible; a simple '______ UFT ' or '3 pets UFT' is enough to draw curious traders in. If you're looking for a specific pet that is out of your budget, look for topics entitled '____ custom UFT'. 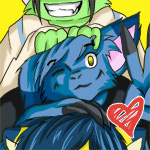 This means the person is trading away a Neopet made especially for you. Here you offer your newly found pet and proclaim what color, species, and general name you'd like. If they accept, you get your own made-to-order pet! For an added effect, display your knowledge of trading ‘lingo’. Terms, such as the ones listed below, are very common, and experienced pound surfers use them frequently. There are, of course, many other terms used, but these are generally the most common. Well, I hope you enjoyed this little guide, and good luck pound surfing! When your Neopet is spending too much time inside. Do you support your team out of loyalty, or winability?